One of our side trips was an unplanned stop at the Hungry Horse Dam. 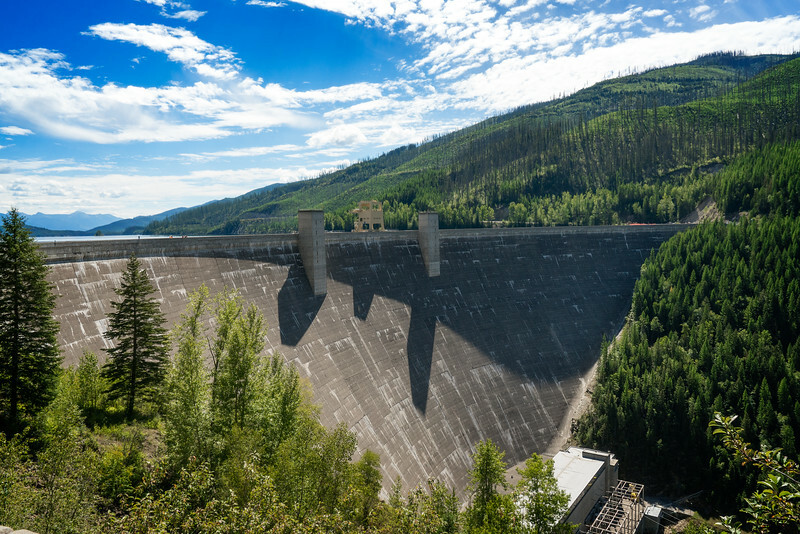 Completed in 1953, it is Montana's highest and the eleventh largest concrete dam in the U.S. The 564-foot Hungry Horse Dam and Reservoir are located 14 miles from Glacier National Park's west entrance. The dam, located on the South Fork of the Flathead River, was authorized to help prevent the recurring spring floods on the Columbia and Flathead rivers and to alleviate the annual winter power shortage in the Pacific Northwest. The dam and reservoir are surrounded by spectacular mountains, offering excellent fishing and hiking in the immediate area.